• Impacts of ocean acidification change with latitude in the California Current. • Vulnerable species (e.g., calcifying invertebrates) and their predators decline most. • Decline in revenue projected, mainly from lower Dungeness crab catch in the north. Marine ecosystems are experiencing rapid changes driven by anthropogenic stressors which, in turn, are affecting human communities. One such stressor is ocean acidification, a result of increasing carbon emissions. Most research on biological impacts of ocean acidification has focused on the responses of an individual species or life stage. Yet, understanding how changes scale from species to ecosystems, and the services they provide, is critical to managing fisheries and setting research priorities. Here we use an ecosystem model, which is forced by oceanographic projections and also coupled to an economic input-output model, to quantify biological responses to ocean acidification in six coastal regions from Vancouver Island, Canada to Baja California, Mexico and economic responses at 17 ports on the US west coast. This model is intended to explore one possible future of how ocean acidification may influence this coastline. Outputs show that declines in species biomass tend to be larger in the southern region of the model, but the largest economic impacts on revenue, income and employment occur from northern California to northern Washington State. The economic consequences are primarily driven by declines in Dungeness crab from loss of prey. Given the substantive revenue generated by the fishing industry on the west coast, the model suggests that long-term planning for communities, researchers and managers in the northern region of the California Current would benefit from tracking Dungeness crab productivity and potential declines related to pH. • We estimate both direct and economy-wide economic losses of shellfish production by 2100 in UK. • Direct potential losses due to reduced shellfish production range from 14% to 28% of fishery NPV. • Total loss to the UK economy from shellfish production and consumption range from £23 – £88 million. • There are regional variations to economic losses due to different speceis and patterns of shellfish production and consumption. Ocean acidification may pose a major threat to commercial fisheries, especially those for calcifying shellfish species. This study was undertaken to estimate the potential economic costs resulting from ocean acidification on UK wild capture and aquaculture shellfish production. Applying the net present value (NPV) and partial equilibrium (PE) models, we estimate both direct and economy-wide economic losses of shellfish production by 2100. Estimates using the NPV method show that the direct potential losses due to reduced shellfish production range from 14% to 28% of fishery NPV. This equates to annual economic losses of between ö3 and ö6 billion of the UK’s GDP in 2013, for medium and high emission scenarios. Results using the PE model showed the total loss to the UK economy from shellfish production and consumption ranging from ö23–ö88 million. The results from both the direct valuation and predicted estimate for the economic losses on shellfish harvest indicate that there are regional variations due to different patterns of shellfish wild-capture and aquaculture, and the exploitation of species with differing sensitivities to ocean acidification. These results suggest that the potential economic losses vary depending on the chosen valuation method. This analysis is also partial as it did not include a wider group of species in early-life-stages or predator-prey effects. Nevertheless, findings show that the economic losses to the UK and its devolved administrations due to ocean acidification could be substantial. 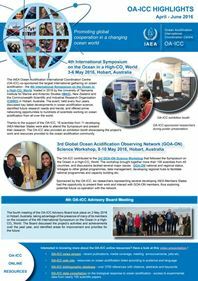 We conclude that addressing ocean acidification with the aim of preserving commercially valuable shellfish resources will require regional, national or international solutions using a combined approach to reduce atmospheric CO2 emissions and shift in focus to exploit species that are less vulnerable to ocean acidification. Size‐based indicators are used worldwide in research that supports the management of commercially exploited wild fish populations, because of their responsiveness to fishing pressure. Observational and experimental data, however, have highlighted the deeply rooted links between fish size and environmental conditions that can drive additional, interannual changes in these indicators. Here, we have used biogeochemical and mechanistic niche modelling of commercially exploited demersal fish species to project time series to the end of the 21st century for one such indicator, the large fish indicator (LFI), under global CO2 emissions scenarios. Our modelling results, validated against survey data, suggest that the LFI’s previously proposed policy target may be unachievable under future climate change. In turn, our results help to identify what may be achievable policy targets for demersal fish communities experiencing climate change. While fisheries modelling has grown as a science, climate change modelling is seldom used specifically to address policy aims. Studies such as this one can, however, enable a more sustainable exploitation of marine food resources under changes unmanageable by fisheries control. Indeed, such studies can be used to aid resilient policy target setting by taking into account climate‐driven effects on fish community size‐structure. This paper aims to highlight the risk of climate change on coupled marine human and natural systems and explore possible solutions to reduce such risk. Specifically, it explores some of the key responses of marine fish stocks and fisheries to climate change and their implications for human society. It highlights the importance of mitigating carbon emission and achieving the Paris Agreement in reducing climate risk on marine fish stocks and fisheries. Finally, it discusses potential opportunities for helping fisheries to reduce climate threats, through local adaptation. A research direction in fish biology and ecology is proposed that would help support the development of these potential solutions. Marine fishery stakeholders are beginning to consider and implement adaptation strategies in the face of growing consumer demand and potential deleterious climate change impacts such as ocean warming, ocean acidification, and deoxygenation. This study investigates the potential for development of a novel climate change–tolerant sea urchin fishery in southern California based on Strongylocentrotus fragilis (pink sea urchin), a deep-sea species whose peak density was found to coincide with a current trap-based spot prawn fishery (Pandalus platyceros) in the 200–300-m depth range. Here we outline potential criteria for a climate change–tolerant fishery by examining the distribution, life-history attributes, and marketable qualities of S. fragilis in southern California. We provide evidence of seasonality of gonad production and demonstrate that peak gonad production occurs in the winter season. S. fragilis likely spawns in the spring season as evidenced by consistent minimum gonad indices in the spring/summer seasons across 4 years of sampling (2012–2016). The resiliency of S. fragilis to predicted future increases in acidity and decreases in oxygen was supported by high species abundance, albeit reduced relative growth rate estimates at water depths (485–510 m) subject to low oxygen (11.7–16.9 µmol kg−1) and pHTotal (<7.44), which may provide assurances to stakeholders and managers regarding the suitability of this species for commercial exploitation. Some food quality properties of the S. fragilis roe (e.g. colour, texture) were comparable with those of the commercially exploited shallow-water red sea urchin (Mesocentrotus franciscanus), while other qualities (e.g. 80% reduced gonad size by weight) limit the potential future marketability of S. fragilis. This case study highlights the potential future challenges and drawbacks of climate-tolerant fishery development in an attempt to inform future urchin fishery stakeholders. 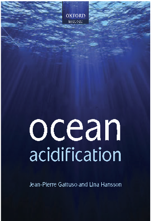 Ocean acidification (OA) is an emerging consequence of anthropogenic carbon dioxide emissions. The full extent of the biological impacts are currently not well understood. However, it is expected that invertebrate species that rely on the mineral calcium carbonate will be among the first and most severely affected. Despite the limited understanding of impacts there is a need to identify potential pathways for human societies to be affected by OA. Research on these social implications is a small but developing field of literature. This thesis contributes to this field by using a risk assessment framework, informed by a biophysical model of future species distributions, to investigate Atlantic Canadian risk from changes in shellfish fisheries. New Brunswick and Nova Scotia are expected to see declines in resource accessibility. While Newfoundland and Labrador and PEI are more socially vulnerable to losses in fisheries, they are expected to experience relatively minor changes in access.